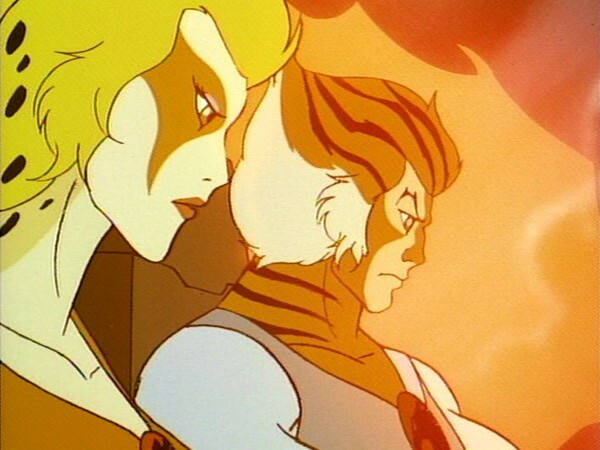 CHEETARA and TYGRA are aboard the Feliner when it is caught in a galactic meteor storm and badly damaged. LION-O and PANTHRO attempt to bring the Feliner in for a safe landing. WILYKAT and WILYKIT are stranded in the storm raging on another part of Third Earth. They seek shelter inside a Suspension Capsule (which was used during the ThunderCats’ voyage from ThunDERa to Third Earth) and get stuck in it. They call Cats’ Lair for help. The MUTANTS, who set out to capture them, intercept their message. LION-O and SNARF take the ThunderTank to search for WILYKAT and WILYKIT. S-S-SLITHE gets to them first and tows the Suspension Capsule with the THUNDERKITTENS inside back to Castle Plun-Darr. Meanwhile, the galactic meteor storm sends the Feliner spinning out of control. LION-O uses the Eye of ThunDERa in the Sword to guide it to safety. MUMM-RA learns of the THUNDERKITTENS’ capture and steals them from the MUTANTS. 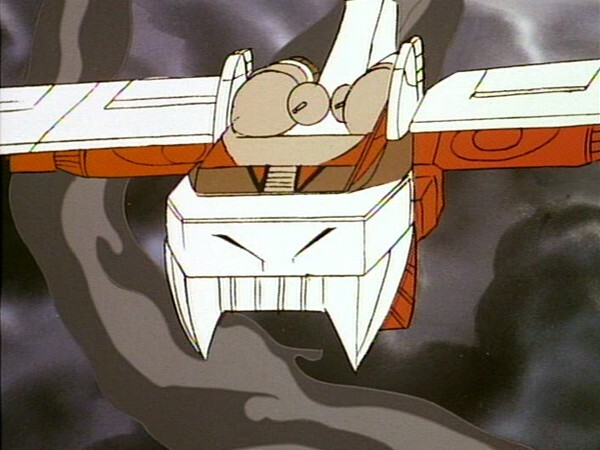 The other THUNDERCATS chase MUMM-RA in the ThunderTank. It is WILYKAT and WILYKIT who turn the tide when they inflate one of their Magic Pellets into a Mirror Balloon. MUMM-RA sees his own reflection in the balloon and returns to his Pyramid, defeated. SNARF finally frees the THUNDERKITTENS from the capsule by giving it a good swift kick. The chaos of a powerful storm and the actions of the Mutants upset the calm of the ThunderCats. An electrical storm endangers the return in the Feliner of Cheetara and Tygra when the controls are damaged and communication is lost, and WilyKat and WilyKit find themselves trapped in an old suspension capsule after climbing in to stay dry. 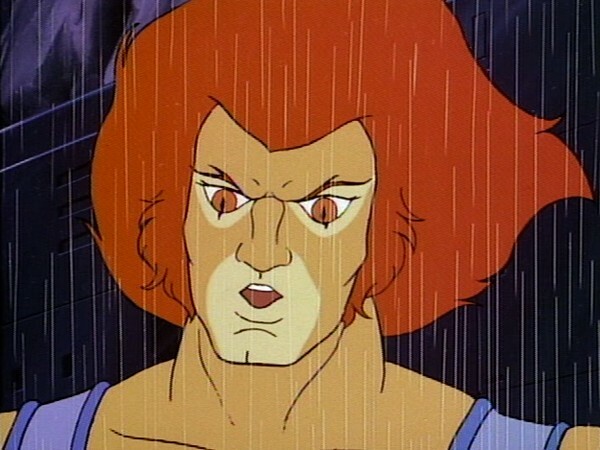 In the face of these dangers, Lion-O calls on the Eye of Thundera. He uses its beam projected into space to guide in the Feliner. And he combats Mumm-Ra with it to free the ThunderKittens, aided by their quick thinking. We learn from this episode not to give up hope even when things seem really bad. And we also learn that panic in the face of danger is not productive, but that remaining calm and being resourceful is more likely to help us. 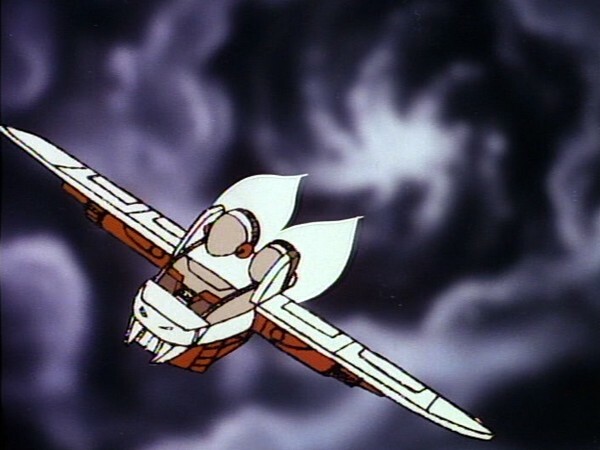 The constancy and stability of the Eye of Thundera proved important in guiding Cheetara and Tygra home. Our own stability and persistence in times of trouble will help us as well. 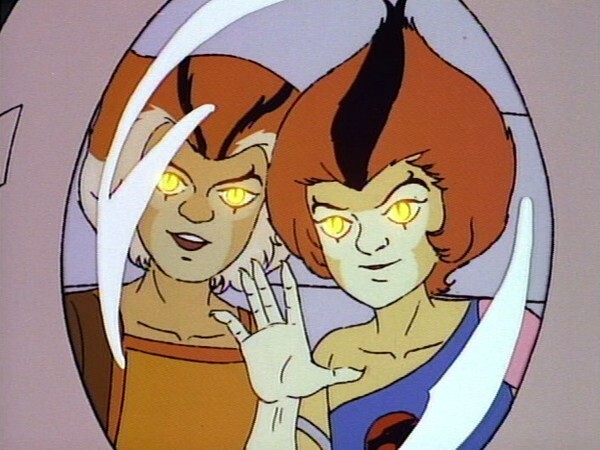 As Cheetara says, “You’re not trapped until you stop trying.” WilyKat and WilyKit persevered and didn’t give up, and they were even able to help Lion-O defeat Mumm-Ra. Our own perseverance and determination are important traits to develop. They can help us when we meet with a crisis or when things are not going well. As anyone who has suffered the devastating effects of a flood, tornado, blizzard, or hurricane can tell you, nature can be crueler than any cartoon villain. Severe weather is a force to be reckoned with, and as we grow more dependent on technology, we find ourselves more easily paralyzed by an unforgiving Mother Nature. Few episodes with plots as twisting and lively as that of “Trapped” can claim such a basic premise, and yet all of the action in this episode is the result a nasty thunderstorm that’s pummeling Third Earth. 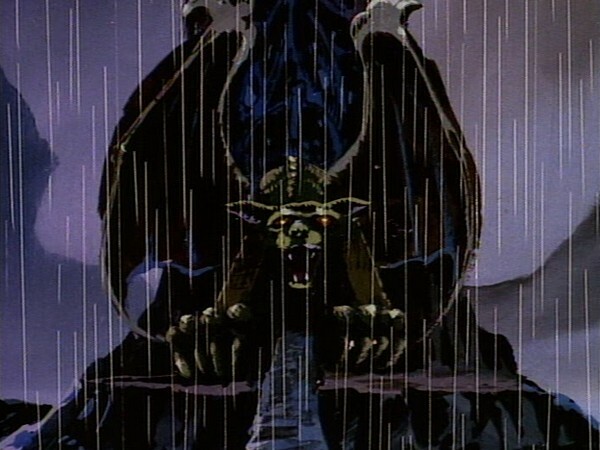 The Mutants and Mumm-Ra are up to their typical villainy, but it is the storm that’s really to blame. This makes “Trapped” almost unique  in the series, as nearly every other episode hinges on a central drama instigated by the episode’s living, breathing bad guys. Stephen Perry uses the storm to great effect. The ThunderCats are not all sitting at home when it strikes: they are scattered, and thus all in danger. Tygra and Cheetara are at terrible risk in the Feliner, which is struck by lightning and bombarded with fireballs on orbital re-entry. Their peril is compounded as the technology they rely on to fly and guide the Feliner begins to fail: the auto-navigator, the rudder circuits, the stabilizers, the boosters, and eventually the communications with Cats’ Lair. Without these innovations, they’re paralyzed—trapped—doomed, really. The ThunderKittens, meanwhile, have wandered far from home and seek shelter in an old suspension capsule. Their communicator is also on the fritz, and the capsule’s lid gets stuck, trapping them inside. 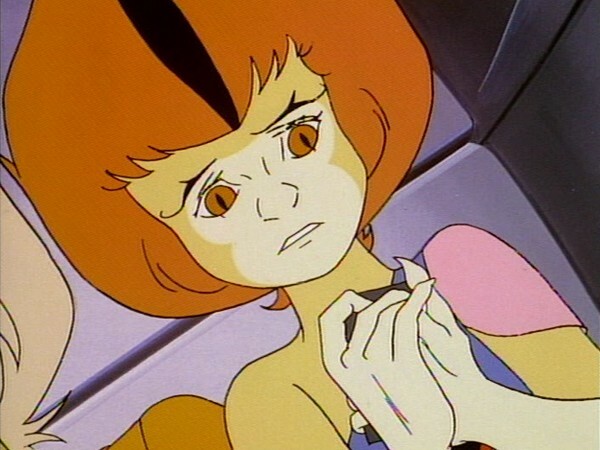 When Lion-O and Snarf attempt to mount a rescue mission, the storm sends a series of meteors crashing down onto Cats’ Lair, destroying the drawbridge and pinning the ThunderTank under the Lair’s paw. Now everyone’s trapped, and in one way or another by inventions of their own making. This is all a great setup, but there are a few unfortunate turns in the story. It’s a shame that the Eye of Thundera has to be the method by which the Feliner is rescued. Answering the nature vs. technology question with magic is ultimately dissatisfying, even if the sequence itself is visually stunning (it is!). Likewise, having the Kittens defeat Mumm-Ra with reflective bubble gum is a bit far-fetched and doesn’t follow from the storm half of the story. While it’s nice to see them being resourceful and not giving up despite their dire position, it does come out of the blue. Snarf freeing the Kittens from the capsule by kicking it, meanwhile, is strangely effective. It’s precisely the sort of analog, real-world solution (like blowing up the Lair’s paw to free the Tank) that the Feliner and Mumm-Ra problems could have benefited from. I should also mention how amazing that Tank-freeing sequence is, particularly the latter half, when they surmount the busted drawbridge by jumping the chasm. There are some exceptionally well-directed moments in “Trapped”. Notably, the moment that the Kittens are captured by S-S-Slithe is shown from their limited point of view inside the capsule, with rivulets of water running off the capsule’s glass window, and S-S-Slithe’s sudden appearance backlit by a lightning strike. When we cut to the outside of the capsule, S-S-Slithe’s reflection in the glass remains visible. Great stuff. 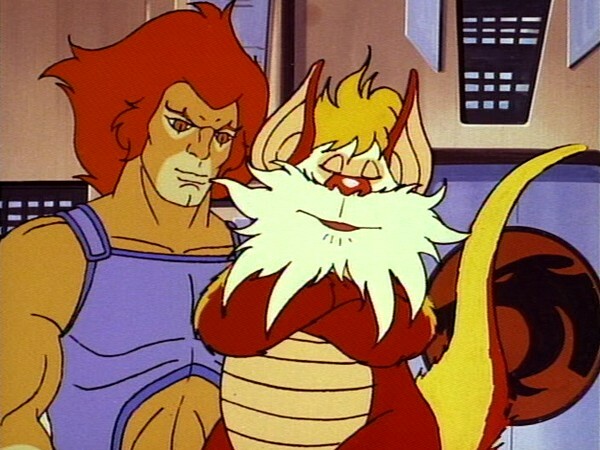 Little moments, like Snarf attempting to jump into the ThunderTank, WilyKat seeing a furious Panthro in his mind’s eye, or Cheetara careening into Tygra in the Feliner cockpit, are also well done. 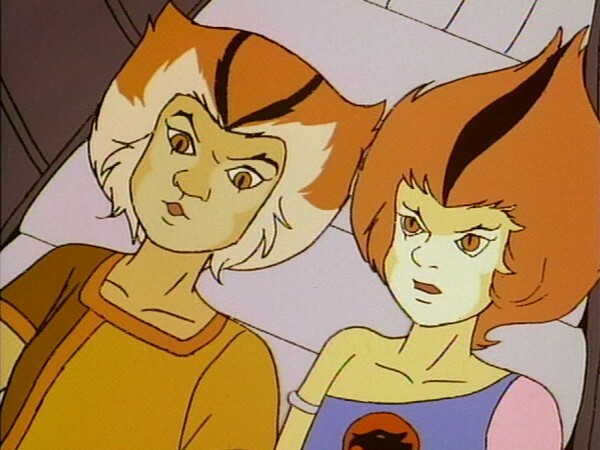 The Feliner sequences themselves are praiseworthy too, from the numerous shots featuring the ship doing barrel rolls, spinning and gliding chaotically toward and away from the camera, to the shots of Tygra and Cheetara illuminated in red. What is not praiseworthy is the transition to blue skies once the storm ends—abrupt is putting it mildly! 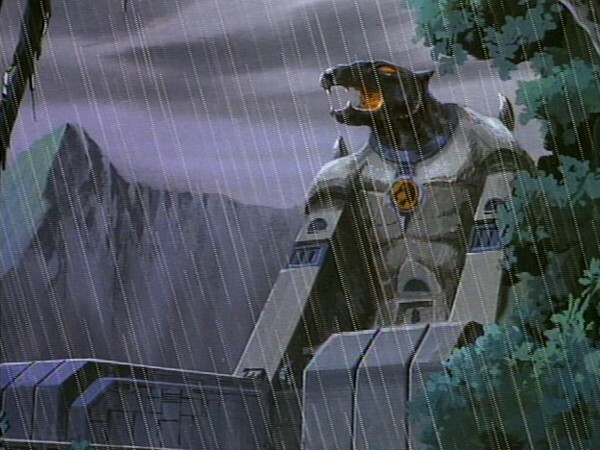 Overall, the episode is most successful when the ThunderCats are confronting the storm and its consequences. It’s a shame that Stephen Perry felt the need to split the story so, between the storm as the primary antagonist and Mumm-Ra as the villain in the end. Had he stuck with the storm and found a way to tie it all together thematically, this episode could have been much stronger. 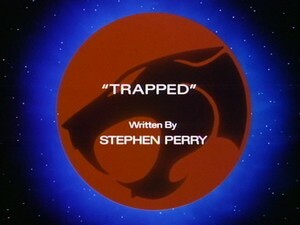 Nevertheless, “Trapped” is a wonderful episode—well-paced and gripping, with an excellent, relatable premise, some great character moments (the Kittens’ banter inside the capsule is perfect), and action sequences that continue to inspire the same edge-of-my-seat feeling that they first gave me as a kid. 1. ^ The thundrillium meteor in “Lord of the Snows” is another rare example of nature inciting the story. The opening sequence of “The Secret of the Ice King” is, too, though it’s completely ridiculous. This is one of only three appearances of the suspension capsules, the other two being “Exodus” and “Time Switch”. This raises the question as to where they all went, and why this one was all by itself. S-S-Slithe instigating the confrontation with Mumm-Ra is an odd turn for S-S-Slithe’s character, as he is typically the smooth talker. The whole skirmish is odd, actually, being the only time that the Mutants and Mumm-Ra actively combat one another. WilyKat’s mention of Panthro punishing the Kittens by grounding them was also present in “The Time Capsule”. 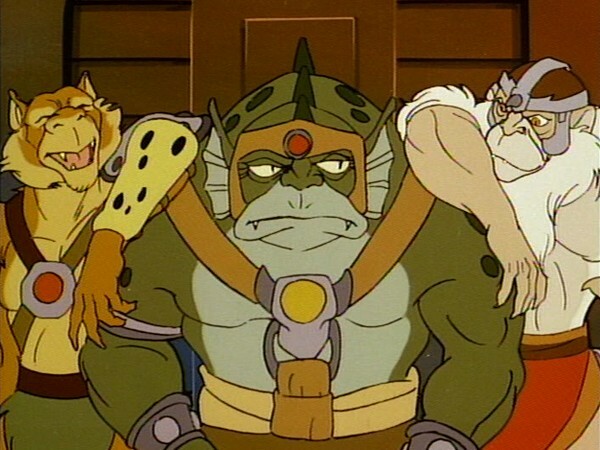 It cements Panthro as the rule enforcer among the adult Cats. 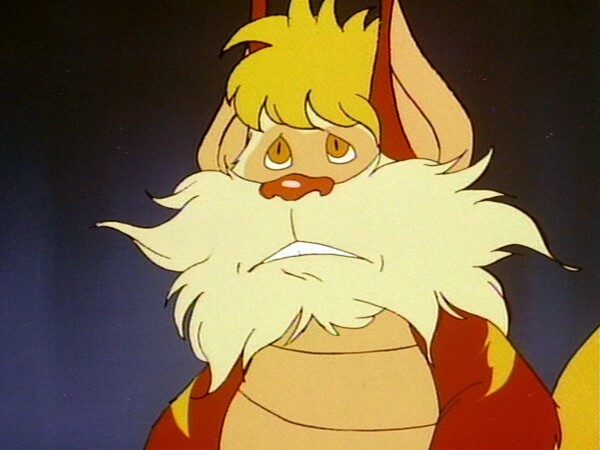 Snarf breaks the fourth wall in the final shot, a gag employed again by Lion-O in “Totem of Dera”. This episode was featured in the Home Video release, “The Spaceship Beneath the Sands”, alongside “Dimension Doom”, “All That Glitters”, and the eponymous episode. Numerous still frames from this episode (as well as from “The Transfer”, “Monkian’s Bargain”, and others) were watermarked “Kabel” and posted online in the late 1990s. They were—and still are—some of the most common screencaps around.